Image: Frazer Harrison/WireImage for The Recording Academy/Getty Images, Michael Tran/FilmMagic/Getty Images. 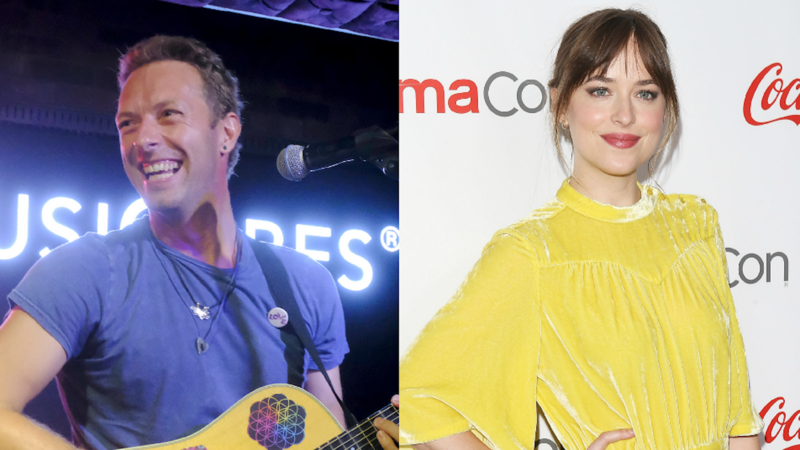 Things seem to be heating up between Dakota Johnson and Chris Martin according to a new article in People magazine. The couple has been dating since at least October 2017, when they were spotted on a sushi date in Los Angeles, and now they're going on double dates with Aaron Paul and his wife, Lauren Parsekian. Per People, on Saturday, Johnson and Martin attended a Radiohead concert at Boston's TD Garden, where they remained seated for most of the show. The outlet reports that Johnson frequently leaned her head on Martin's shoulder, but they seemed to want to lay low during the show. Johnson previously dated Drowners lead singer and guitarist Matthew Hitt. The two were on and off for several years but haven't been romantically linked since at least 2016. After finalizing his divorce from Gwyneth Paltrow in 2014, Martin spent time with Annabelle Wallis in 2015. He and Johnson have spent the majority of their time together going on low-key dates near his Malibu home according to People. We respect that desire to stay out of the spotlight; it's got to be tough to get to know someone with the whole world watching.